So you have been hitting the gym and staying consistent with your workout, that’s great! But spending hours lifting, day in and day out, might actually stall your progress. After all, recovery is an essential part of fitness and it shouldn’t be overlooked. Recovery must occur before progress can be made, plain and simple. Recovery helps you stay injury free, consistent, and efficient in your workouts. Here are the best ways to help you recover from your workout. In order for the recovery process to be effective, you should plan ahead of time. After all, you break down your body and muscles when you train. Your energy stores are depleted, your muscles and other tissues are broken down and your body is in a fatigued state. If your body doesn’t get proper recovery, it can lead to over training which can have many negative effects on your body. So what’s the solution? Every 3-5 weeks, plan a recovery week. Or you can add in some restorative exercises like yoga and swimming to give your body a break. You can also take what’s called a “deload” which is just a fancy way of saying you can cut the amount of volume you are doing in your workouts. You can do this by either cutting your sets in half, your reps in half, or using less weight for the same amount of sets and reps to allow your body a chance to recover. Not getting enough sleep has any negative effects on your body. It can alter your mood, increase perception of fatigue, and negatively affect the physiological mechanisms responsible for adaptation from the stresses of training. Sleep is a major part of your body’s recovery process. After all, he purpose of sleep is to induce a state of recovery in the body. Try to develop a regular sleeping routine where you go to bed at a similar time each night of the week. If you can, try removing distractions like your phone or TV. Try your best to get around 8 hours of sleep a night. 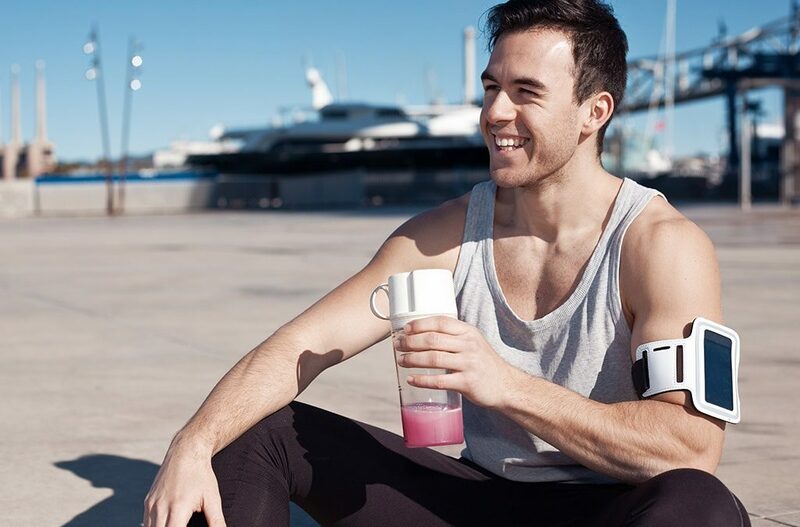 You should try and drink at least 3.7L/day for men, 2.7L/day for females, however factors such as how intensely you exercise, how much you sweat, and if you spend a lot of time in the sun will affect these numbers as well. Staying hydrated while working out is extremely important for both your health and your results. Nutrition is extremely important when it comes to your body’s recovery process. Protein sources are required to rebuild muscle tissue and to supply the building blocks for various cells, tissues, enzymes, and hormones. So you need to make sure your body is being fueled properly! Carbohydrates, on the other hand, are your muscle’s main source of energy; therefore, eating carbohydrates is essential at refueling your body’s glycogen stores if you regularly strength train with some intensity. Eat a post workout snack that contain roughly 50 grams of carbohydrates and 30 grams of protein. Although the “post-workout window” is a lot larger than initially thought, eating a well-balanced meal can help facilitate the recovery process. You should aim to eat a post workout meal within 4-6 hours after training. If you are a more advanced trainee, shrinking this post-workout window can potentially expedite your results as well. In short, the recovery process is extremely important when it comes to fitness. Make sure to plan the proper recovery weeks or days needed in advanced. Try implementing restorative exercises like yoga, swimming, or tai chi to aid the recovery process. And make sure you are getting enough water, sleep, and proper nutrients. All of these steps should help aid your body’s natural recovery process and help you see more results.